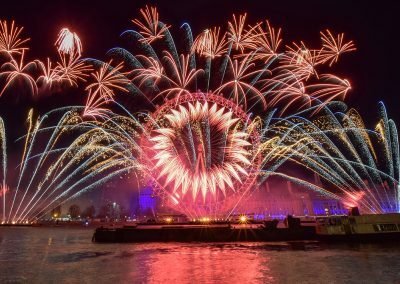 London celebrated the midnight moment to bring in 2018 with the now world-famous firework display centred around the Coca Cola London Eye and the River Thames. 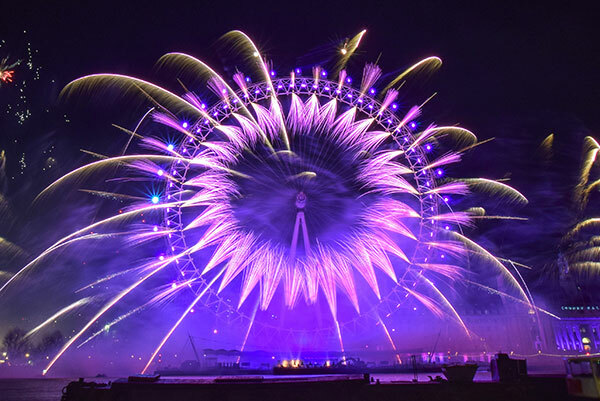 Titanium Fireworks were once again entrusted with the delivery of the country’s largest and most prestigious display, featuring a huge arsenal of over 12,000 fireworks fired from 170 locations using in excess of 6,000 firing cues synchronised to an 11 minute soundtrack. Once again the event was managed and produced by Jack Morton Worldwide. 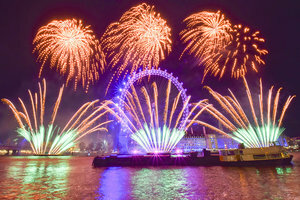 The display marked the launch of Mayor of London Sadiq Khan’s campaign for gender equality, ahead of the 100th anniversary of women securing the right to vote. #BehindEveryGreatCity. 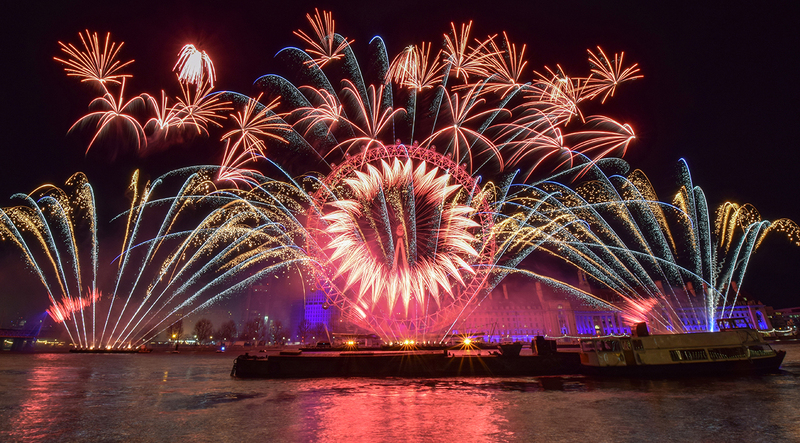 More than 100,000 ticket-holders on the banks of the Thames watched the display, which featured a soundtrack dominated by female artists including Aretha Franklin, Annie Lennox, Ariana Grande, Dua Lipa and Florence Welch. 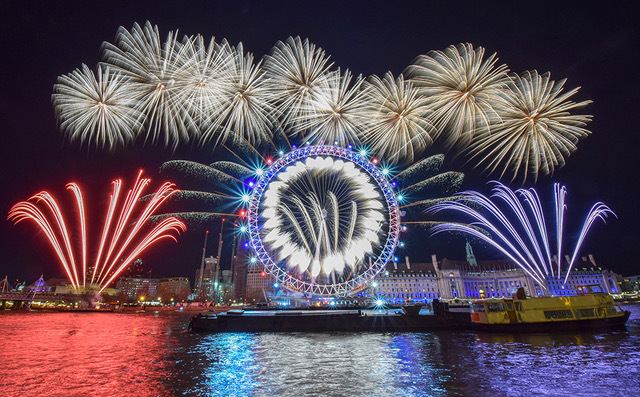 Especially for the New Year, Londoners were treated to the symbolic ‘bongs’ of Big Ben in spite of the clock tower being silenced last summer as part of ongoing renovation work. Our design team have been responsible for this display for eight years and each year we push the boundaries to introduce new elements to the display to maintain dynamism. This year saw the introduction of 30 additional firing positions across the 250 metre wide frontage, firing horizontal mines over the river, creating a dazzling new effect which was further enhanced by the reflections in the water. 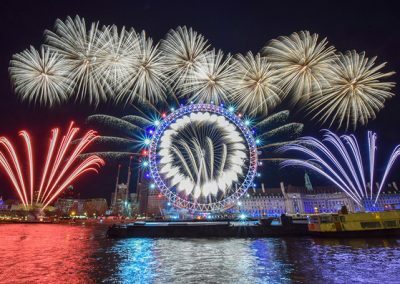 The Mayor of London, Sadiq Khan, said: “London’s New Year’s Eve fireworks display is the best in the world and the atmosphere on the banks of the Thames is always incredible”. 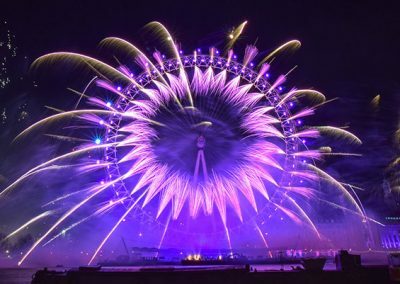 Titanium Fireworks are very proud and honoured to be involved with this world famous event and we look forward to what 2018 has in store.